By the end of today, an average of six people will have died from alcohol poisoning, and it’s a “surprising group” that’s dying more than any other, according to new research from the Centers for Disease Control and Prevention. That adds up to an average of 2,221 people in the United States — a conservative estimate, according to the CDC — dying annually, making it one of the leading preventable causes of death. The numbers come from death certificate data collected from 2010 to 2012. Alcohol poisoning is when a person consumes a toxic amount of alcohol, usually after a binge of drinking. 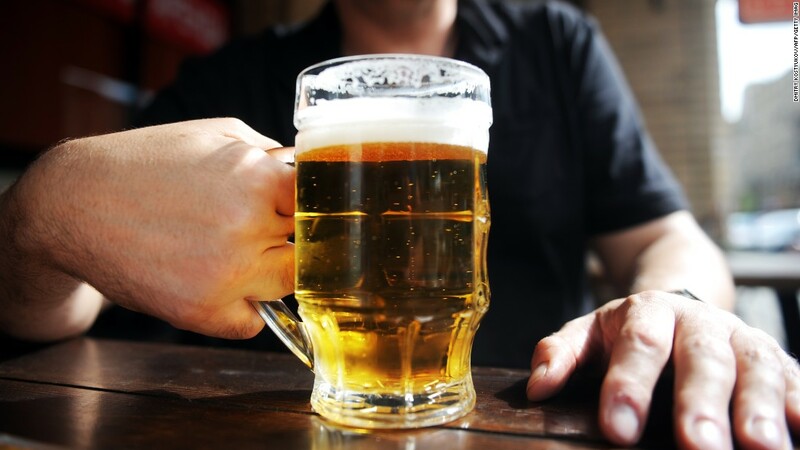 Typically, “binge drinking” for men involves consuming five or more alcoholic beverages in two to three hours, according to the CDC. For women it’s drinking four or more in that same period. However, earlier research shows most of the 38 million or more Americans who admit to binge drinking say they actually drink about eight drinks in two to three hours and they do this on average four times per month. When you are suffering from alcohol poisoning, your liver can’t keep up with the amount of alcohol in your body. Alcohol is a toxin and the liver has to filter it out of your blood. What the liver can’t filter out backs up into your bloodstream. If the blood alcohol concentration in your bloodstream becomes too high, it has a severe impact on your mental and physical self. Your breathing could slow down and so could your heartbeat and your gag reflex. If these don’t work correctly, you could lose your breath and pass out or you could stop breathing. Alcohol poisoning can also cause you to choke or cause your heart rhythm to become erratic. You could slip into a coma. Other signs that someone may be suffering alcohol poisoning include severely slurred speech, loss of coordination and vomiting. While college students get a bad rap for binge drinking, the study found it’s not typically college age people who die from drinking too much. In what the CDC said was a surprise, it found that white men between the ages of 35 and 64 are dying most often from alcohol poisoning. That demographic accounts for 76% of the deaths. American Indians/Alaska Natives have the most alcohol poisoning deaths per million people, according to the report. Thirty percent of the people who died were considered alcoholics. Alcohol-attributed deaths cost the country in terms of workplace productivity and in the number of accidents they cause, which cost about $223.5 billion, according to 2006 figures. Ileana Arias, the CDC’s principal deputy director who helped release the report, called Tuesday for more effective programs and policies to prevent binge drinking. If you do drink, there are some benefits to a moderate consumption of alcohol. “Moderate” is considered up to one drink a day for women or up to two drinks a day for men.